Colorado resident Aubrey Lane is suing American Airlines for failing to protect her from a drunk passenger who raped her on a redeye flight from Phoenix to New York in 2017. Lane filed the suit on October 31 in federal court in New York. 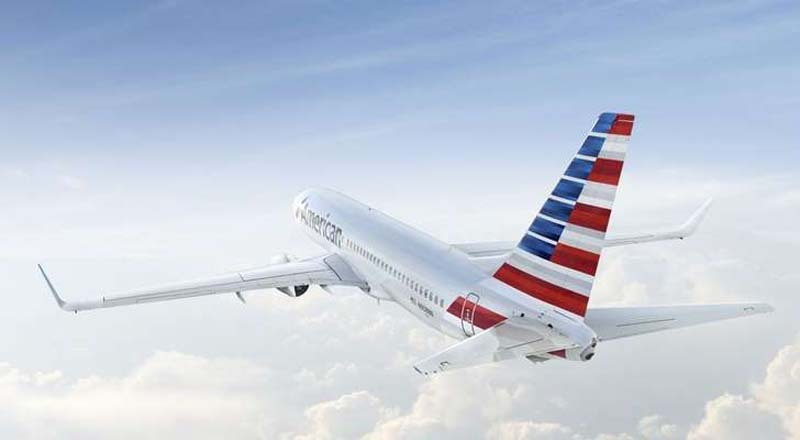 It claims that American Airlines allowed a visibly drunk man to board the flight on June 16, 2017, and then continued to serve him as many as six more alcoholic drinks on the flight. The man has not yet been identified, but he was seated next to Lane and harassed her and another passenger throughout the flight, and then followed Lane to the plane’s bathroom and sexually assaulted her. After reaching his seat, the passenger allegedly ordered two vodkas, a coke, and a beer, followed by another identical order which American Airlines employees filled. “While Aubrey had been drinking, she clearly was not interested in pursuing this man in 12B, but over time he began to move closer to her, grab her face and kiss her, which she would push him off and say that ‘couldn’t happen,’” the witness statement says, according to the Fort Worth Star-Telegram. The witness claims that Lane only had one drink. The witness warned cabin crew members during the flight to move the intoxicated passenger, but the warnings were ignored. According to the lawsuit, the intoxicated man went to the restroom first, and five minutes later, Lane went to the bathroom. She returned to her seat first, and when the intoxicated man returned to his seat, he tried to snuggle with her, but she turned away and ignored him. He then began calling her derogatory names. The attendant moved Lane, but the witness says the airline employee was dismissive and hostile toward Lane. It wasn’t until after they deboarded the plane that Lane told the witness that the intoxicated man had raped her in the bathroom. Lane didn’t report the incident to flight attendants as she was in shock, but the witness told the pilot and documented the details to American Airlines officials in an email to American’s CEO Doug Parker and Senior VP of customer experience Kelly Philipovitch, according to Dallas News. Lane and her attorney Meg Foley are arguing that American was negligent and breached its duty of care to all passengers and Lane, by allowing the assailant on board and supplying him with more alcoholic drinks, a move that violates American Airlines' policies and federal regulations. “Knowing the clear dangers of intoxication and the sexual assault threats, especially on red eye flights, American offered no protection to Aubrey Lane...despite the verbal warnings of Passenger 12C and the obvious obnoxious, aggressive, threatening and intoxicated behavior of Passenger 12B,” the suit read. Lane met with airport police once she landed in New York, but the assaulter was not apprehended at that time. Her case was turned over to the FBI, but no arrests have yet to be made. American Airlines offered Lane a $5,000 settlement last year when she approached the carrier about the incident. They later apologized for how they responded to her original complaint, of which they called a “nuisance claim,” citing that they’ve added new procedures on how crew members should react to reports of sexual assault on a flight. United Airlines is also facing a sexual assault suit, and many are calling for airlines to create new plans to combat sexual assault.